After years and years (I won’t admit how many) of dutifully writing things out, for the past five-plus years, I have been steadily trying to compact my writing style. I have kept my eyes and ears open for any and all briefs and techniques that make sense to me. What I really look for are techniques that will kill more than one bird with one stone. In other words, if there is a technique that will lop off strokes with many different outlines, I’m all ears. About five years ago, I learned –RP for “were” while phrasing, in addition to –FRB for “need,” –PT for “want,” –FS for “was,” –BS for “has,” –FRG for “went,” etc. Now I can phrase all those endings in one stroke, potentially lopping a hundred or more strokes per day, just with that simple concept. What I have also done, which goes against the grain, is start putting conflicts back into my dictionary if I learn an outline that would conflict with an existing outline. For example, as mentioned above, I use –RP for “were” in phrasing, so “you were” I write URP. Another technique I started using five or so years ago was inverting inflected endings, e.g., STARGT for “starting,” etc. Using that concept, I write URP for “upper,” which is a conflict with “you were.” Mind you, five-plus years ago neither one of those outlines was in my dictionary, but just because it’s a conflict doesn’t preclude me from putting it in my dictionary as a conflict and letting my software, whose artificial intelligence is amazing, pick the right choice. Please note that the software doesn’t always pick the correct choice, but I would bet that it gets it right more than 90 percent of the time. Giving myself permission to write with conflicts does a couple of things. As mentioned above, it lets the software do the work of selecting the right one, and in addition it allows me to write worryfree, not getting bogged down mentally while writing, therefore not being concerned that what I’m writing might conflict with something else in my dictionary. Please note that I am a freelancer, and although I do a lot of realtime — and, yes, once in a while the software picks the wrong selection — the realtime is a live rough draft (I refuse to call it a dirty rough), and I feel that the tradeoff is extremely beneficial. I am entitled to a mistake now and then; however, my ability to write faster because I can write freely also allows me to be a cleaner writer. Bottom line: You have my permission to start thinking outside the box. In fact, if you have some briefs that you can’t live without, I’d love to hear them! 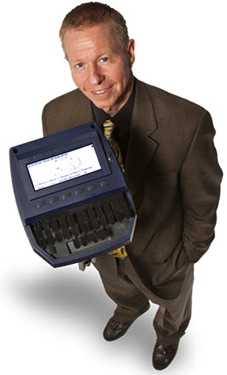 Ron Cook, CCR, RMR, CRR, is the principal in Premier Realtime in Seattle, Wash. He can be reached at rcook@premierrealtime.com.